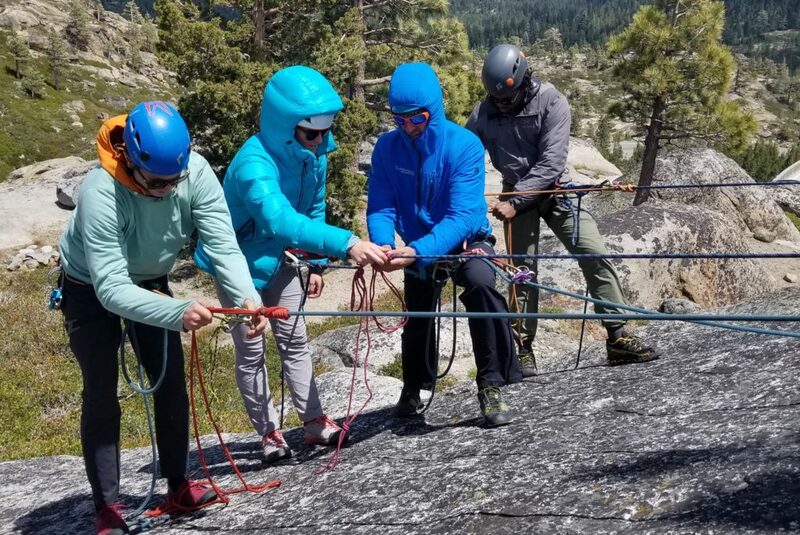 Learning how to ascend a fixed line. What will you do if your partner can’t pull through the crux, several pitches up a route? What will you do if you drop your belay device? This past weekend we hosted one of our regular self rescue seminars to teach climbers how to deal with the unexpected during a climb. 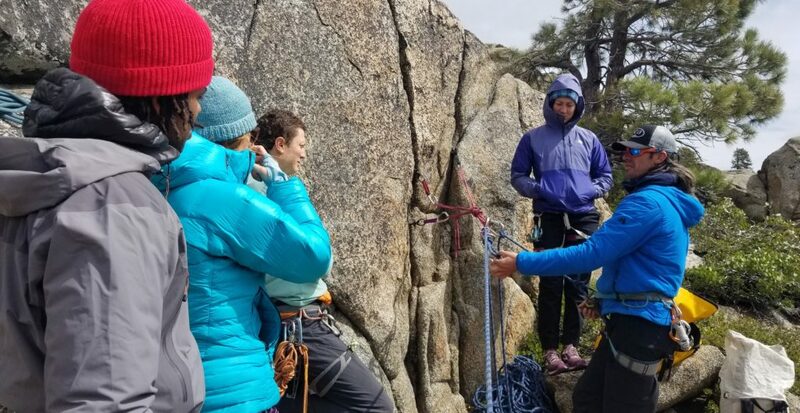 Our guide Ray Hughes went over the basics of anchor building, rappelling, escaping a belay, ascending, and much more. He tailored our course to the level of experience of the students. This full-day self rescue course is designed to teach the skills necessary to manage the unexpected during a climb. 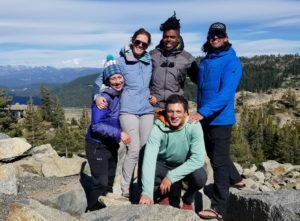 Accidents can happen in the mountains and self-sufficiency is essential to having safer outdoor adventures. Check out more about the course here. Happy climbers after the self rescue course.